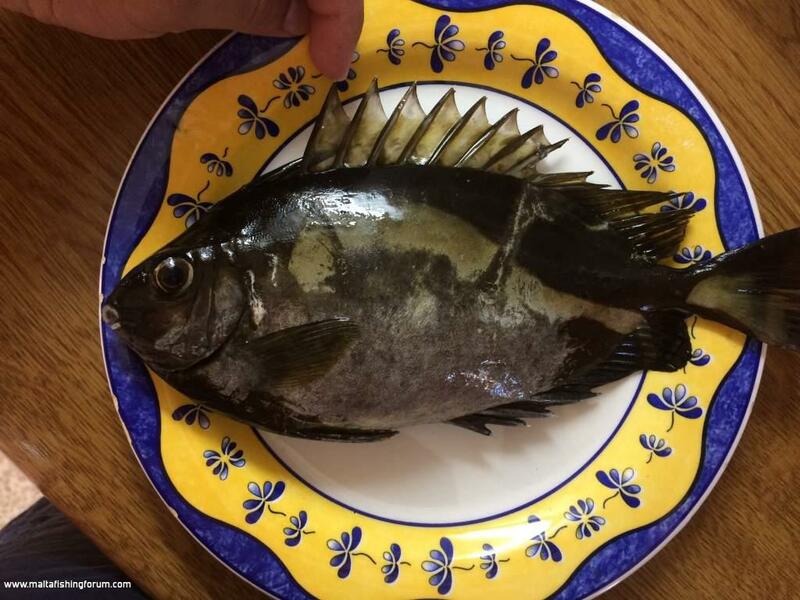 Description: Fish caught last week in Kemmuna. Any idea what's the name of this fish and if is it venomous ? This is what I got from Alan Deidun. "hello Max - thanks for this alert and apologies for the late reply but I am just back from a vacation - this is the dusky spinefoot, a species of rabbitfish which has colonised large tracts of the eatstern Mediterranean after first entering through the Suez Canal - its not that good to eat given its a herbivorous fish - thanks again and pls keep them coming! &#128578;". Rabbit fish if not mistaken, spikes are venemous, but good to eat. Send pic and information to Alan Deidun on facebook.